Are you planning for a great holiday destination to one of the exotic destinations around the world like Japan? After a busy work routine and tackling everyday life stress, you definitely need a break to relax and enjoy the much needed ‘Me time’. The popular tourist hub, Tokyo has everything to impress visitors and the locals, thanks to magnificent business events, cultural happenings and thrilling festivals this winter season. Below are a few noteworthy mentions that you should not miss. 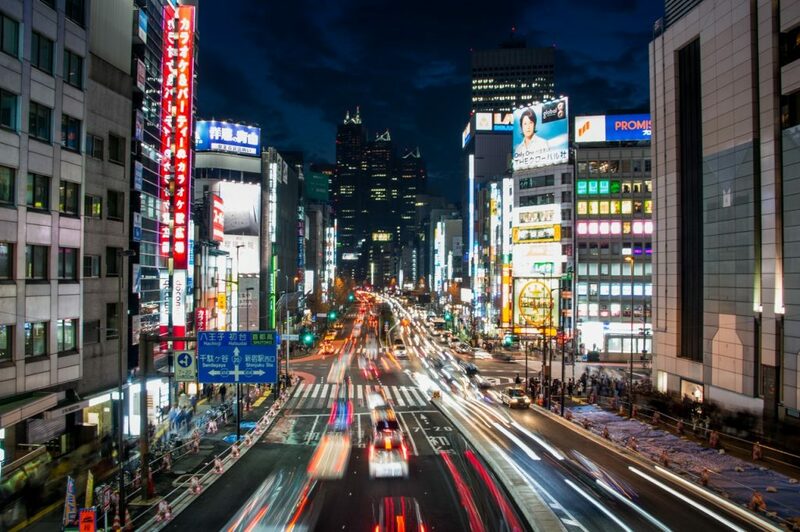 As a commercial hub, Tokyo is not just about trade show displays and expos. There is more to Tokyo, especially concerning culture, traditions and community celebrations. The illumination events are a highlight of the winter season in Japan’s capital. The night witnesses a spectacular display of lights and dazzling illuminations. You can check these out at famous places like Roppongi Hills Arena, which features the Tokyo Dome City Winter Illumination organized in early Nov 2018–Mid Feb 2019 and Tokyo Midtown where you can enjoy Midtown Christmas 2018. The Tokyo comic con 2018 is another famous event where people from all across the globe assemble to participate in contests, celebrations and enjoy recreational activities such as meetings, dancing, book reading, and entertainment. Expect leisure stuff like manga and anime along with a cool collection of comic books to explore. You can enjoy a full Japanese court offering a range of local delicacies. You should visit the event around 30th Nov–2nd Dec 2018 at the Makuhari Messe. Tickets are only ¥3,200 for adults and ¥2,200 for students if purchased in advance. One of the largest three float festivals in Japan, the yomatsuri night festival is a popular event, which has tourists flocking over from all across the globe. Organized around 3rd Dec 2018, between 5:00 pm – 10:00 pm in Chichibu, this mesmerizing traditional festival includes illumination, great food and large floats that weigh enormous amounts decorated with flowers, lanterns, and spears. The stalls also offer a wide array of luscious Japanese cuisine that you should not miss. Enjoy the gourmet items with a splendid fireworks display! Visit Jingu Gaien Icho Namiki Avenue during Mid Nov–Early Dec 2018 to check out the fabulous ginkgo trees at Icho Namiki avenue of Jingu Shrine. Hundreds of tourists & locals come to see the fall hues of the gingko leaves offering a splendid view. The Itcho festival is the best place to experience Autumn in full bloom with a brilliant yellow tunnel created by the ginkgo trees. It is a great place to enjoy not only amazing sights but also delicious and affordable food available at the various stalls. If you are on a holiday with the family, I suggest not missing this. While you are here, do not forget to buy yourself one or two fantastic cultural & traditional accessories on display at different stalls lined around the place. Next Next post: Unique Hair, Makeup & Dress Trends To Rock For Prom 2019 – Get The Inside Scoop!